With the debut of the 2015 Ford Mustang coming in the next couple years it was only a matter of time before Ford would begin testing out prototypes. It looks like that time as come, as spy photographers have captured a 2015 Mustang prototype being tested out on public roads. 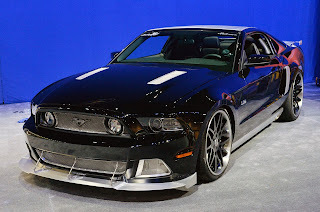 To the untrained eye the car might look like a test mule based on the current 2013 model, but underneath the bodywork is hiding the chassis and suspension being developed for the next generation Mustang. The evidence is in the photos, which show off the new rear suspension setup for the very first time. The current S197 Mustang platform was initially tested with an independent rear suspension as well, but all reports indicate that the next generation Mustang will most definitely lose the solid rear axle. With 2015 Mustang prototypes now out on the roads, expect to see more and more spy photos of the cars during testing. Hopefully sometime in the near future we’ll start to see development mules with some of the new bodywork, giving us an even better idea of what the 2015 Mustang will look like. Head over to Car and Driver’s web site to read the full story and see more spy photos of the 2015 Mustang. 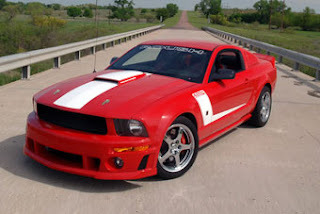 This entry was written by by MustangsDaily (Mustangs Daily) and posted here on Friday, June 8th, 2012 at 12:25 pm and is filed under 2015 ford mustang, 2015 mustang, 2015 mustang spy photos, News. This article was not written by us, rather gathered using RSS feeds listed here. We take no credit for this article. You can leave a response, or trackback from your own site.